Many of the bank investments and takeovers inked as markets cratered a decade ago brought at least as much pain as progress to the instigators. Think JPMorgan buying Bear and WaMu. Breakingviews looks back at some of the flops – and a couple of high-flyers. 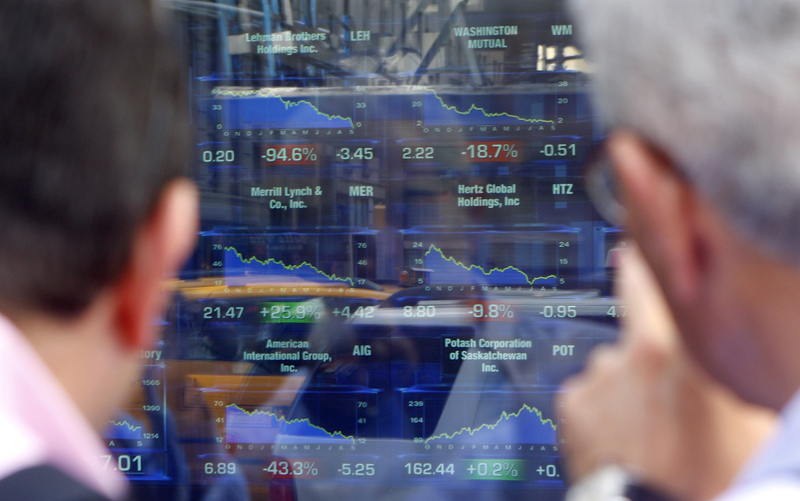 Two men look at the stock prices for Lehman Brothers Holdings Inc,, Merrill Lynch Inc. and American International Group Inc. as they peer through the window of the Nasdaq MarketSite in New York, September 15, 2008.